Philippine Airlines Promo: Dubbed as the “City of Dreams”, Macau is a beautiful fusion of the past and present--a history so rich that it's still the country's greatest draw. Take a walk down the iconic Senado Square, take photos of the historical Ruins of St. Pauls, and try Macau’s famous egg tart from Lord Stow’s Bakery! 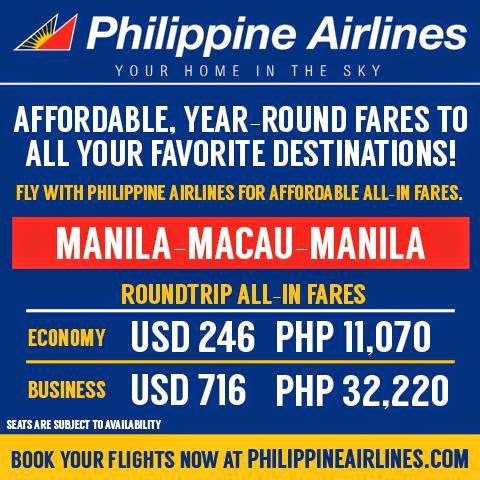 Book your flights to Macau today at philippineairlines.com!